Occasionally I'm recruited to cook something my mom picks out and buys the groceries for. This was the case last night, with an Italian Lentil Salad. But I was able to pair it with some juicy roasted chicken, and crispy toasted bread with olive oil. 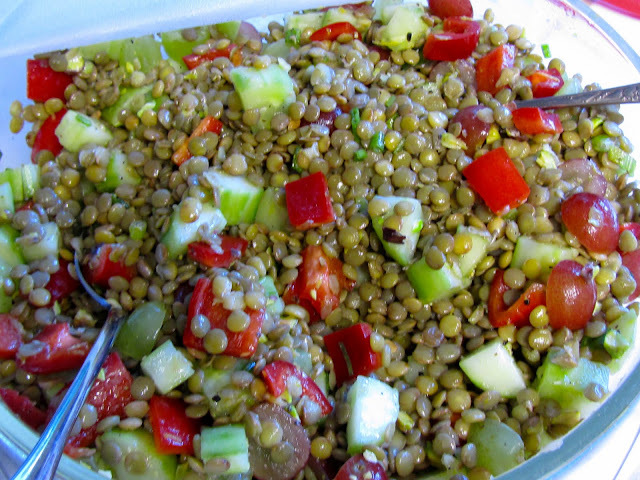 The lentil salad had great flavors, but I'm just not a big fan of the texture of lentils. So, I ate everything else in the salad but the lentils! Anyways, here are some photos! 1. Bring a large pot of salted water to a boil over high heat. Add the lentils and cook until tender, stirring occasionally, about 18 to 20 minutes. Drain and let cool for 5 minutes. Place lentils and remaining salad ingredients in a large salad bowl. Preheat oven to 350 degrees. 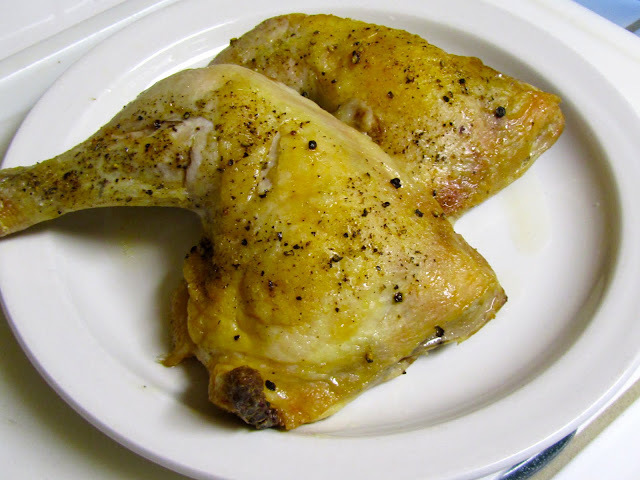 Use either chicken breast or thighs, placed in an oven safe dish, and rub with olive oil. 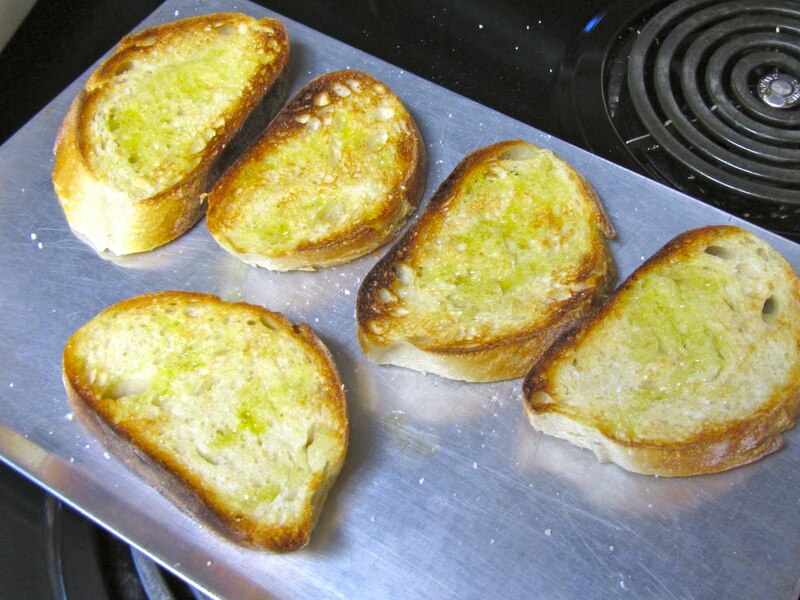 Sprinkle with a generous amount of salt and pepper. Cook for 35-40 minutes. Drizzle bread slices with good olive oil. Place in the broiler until golden brown. Sprinkle with salt.